We have six lessons to go, and that means we have already passed the half point. The team’s motivation is low, because of the director is in a melancholy. Because of I have been a softy, the team is processing everything slower than we expected. That is a fact. Everyone has been so kind to me, and I have to answer to everyone expectation, but I am not doing so well. I thought I understood what everyone wanted, but once I try, things don’t come out the way I hoped they would. I think I am letting my teammates down. I will try to be more positive about everything, and bring back the motivation for everyone. I have to think positive! Oh boy, it is already the 11th lesson! Time really does fly when you are focused on something. In today’s lesson the most interesting was “how to make fun ideas”. There are numerous ways to make ideas, but the one we were introduced to, was the most simple but hardest to do. Come up with fifty keywords (ideas), and combine them together after! Just come up with 50 keywords and chose the ones you really like. Doesn’t matter if they sound chaotic, they will mean something to you at least. If some words didn’t get chosen, still keep them. They will have their own time to shine. It was a useful lesson right? Now, to our team’s progress. Our idea of having zombies working side by side with humans got shot down. We have to go back to the drawing board. This is the 11th lesson, which means we only have 1/3 to go. We have finally done it! We now have our project plan. of our game. Hopefully we have something like “this is what’s fun about this game!” or “this is our sales point!” to talk about. We don't have much left in Inafune-Juku. We can’t just listen to the lectures. 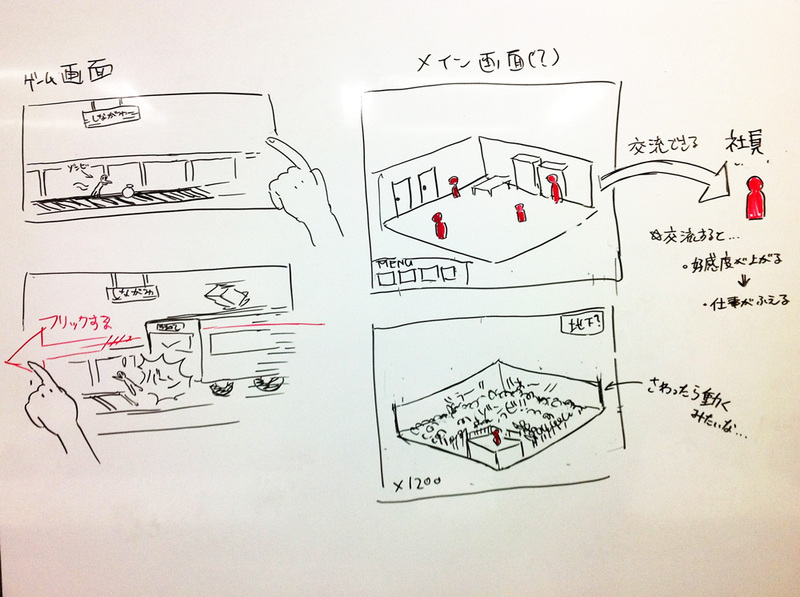 We, the team need to think, and take each step slowly then make a good game project plan. We had a lot to learn today. 1, Have more than one goal. For example, if one of our plans gets chosen to actually make into a game, then the ones that didn’t get choose might feel “why didn’t mine get chosen? Mine is better!”. That is the result of having just one goal, in this case ‘to get chosen’. However we’ve already achieved the goal of finishing our project plan. We have already learned so much. Not achieving the big goal isn’t a problem here. Stopping to grow up as a creator by attached to one goal, is a problem. 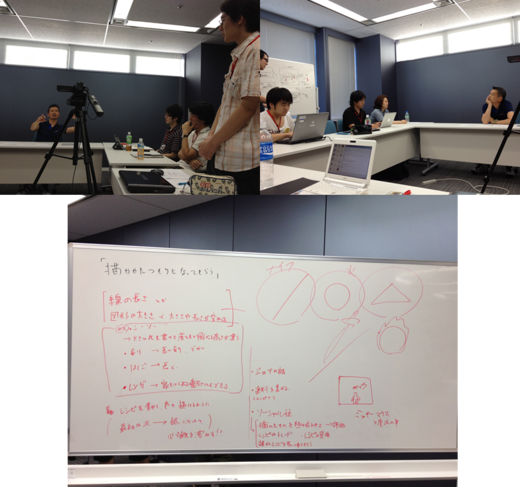 2, Even if there is something super important, if the presenter didn’t realize and say it, it is absolutely meaningless. The presenter has to be sensitive about everything that will affect the team. Every lesson is so rich in volume. It feels like my head can explode with knowledge! I feel kind of worried. 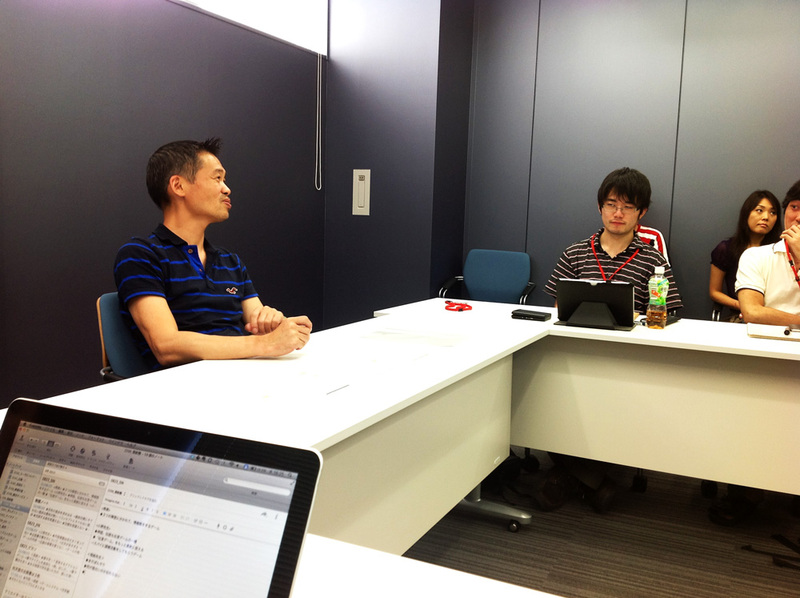 Our team has the slowest progress out of all teams, but Inafune-sensei said to us, “don't worry about making the project plan, Inafune-Juku is about learning how to make a concept”. 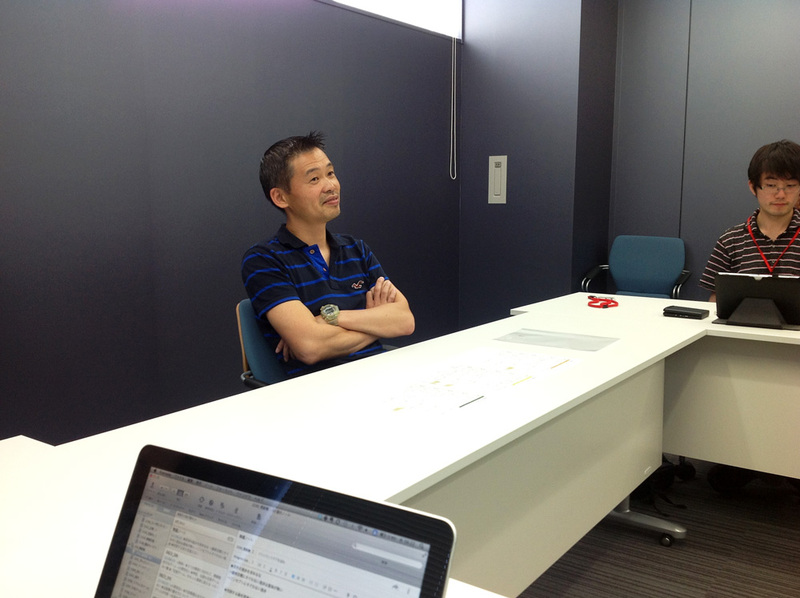 Inafune-sensei said “there are more than just one goal, mistake is also a type goal”. We can learn from mistake and achieve our real goal. “The important thing is, what will you acquire from Inafune-Juku”. Not just learn to make concept, but also how to work with other people as a team. I will not waste this wonderful opportunity. I will cherish what’s left in Inafune-Juku. That was today’s main topic. Inafune-sensei does not only making games, but he keeps his eyes on everything. There are people who can polish their own knowledge or skills. 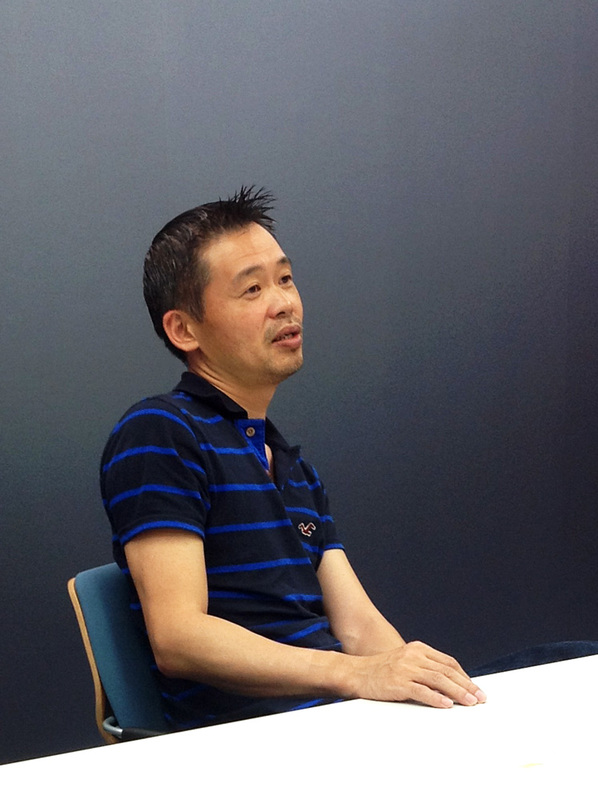 Inafune-sensei can build ‘places’ for those people’s knowledge or skills to shine. How many people can do that? I have been a team leader for two and a half months now. I think I’m starting to get what is a ‘team’. Everyone has different personalities, skills, and motivations. That person’s life, the surrounding he or she grew up with, the things he saw, felt, did, and didn’t. There won’t be another person with the same experiences as you do. A team leader should understand that difference, and lead the team based on each people’s experiences. I think I can understand myself nicely, but I didn’t quite try to understand others. What I did was I waited others to approach me first. That is not a solution. I need to understand others’ personalities, and skills. They are like puzzle pieces. I need to be very sensitive to place them in order to make the perfect picture. This is the 2nd time I am in charge of the blog entry. Why is it so hot here in the city? Why? I guess the weather just won’t allow me to take off the cooling patch from my forehead… I wonder when is everyone going to start calling me “cooling patch girl” instead of my name. Out team’s core concept is ‘message game’ and we took out the ‘cooperation’ aspect from it. Even thou everyone is working towards one goal but the direction (route) still changes, and that fun of it. So we now have to decide what will be that goal. Looking forward to get beaten (not literally of course) by Inafune-sensei the week after! This is the 2nd time I write the blog for my team. I think, team JYK’s project concept lacks ‘reasons’. Our idea has enough energy but right now it feel like that energy is scattered all over the place. Games should be very logical. If ‘this’ exists, then ‘that’ must coexists. We have system based on concept. We want the players to enjoy the system, that’s why we make the stages in this order and enemies appear I that order. There should be a reason for every question asked in the game. In a sense we (game creators) are making puzzles pieces, and those pieces are made from our experiences, senses, and creativity. It is very hard. It is hard just talking about it, and no way you can do it on you own. I think that is why we have ears, to gain information from outside. To listen to what other people have to say. We might be able to find hints from the conversation. I think we underestimate this ‘listening’ too much. We should pay more attention to other people. We wander further and further into the forest of ideas. There is one thing that I am certain of, and that is ‘we are lost”. A concept exists, and there is system to go with that concept. What we need to do is to think and plan out that system. We get critiques, but we don't know how much we need to go back and fix. I have previous experiences in game making, and I have worked with my friends to make our own games, but I don't remember project planning was this hard. It is just so hard to visualize the ‘fun’ of ‘drawing’. I actually hate to draw, because I was never good at it. This is a true challenge for my team, especially for me.